My child has language-based learning disabilities and fine motor problems that make it impossible for him to produce legible written work. His IEP includes accommodations to help with these problems. Some of his regular education teachers won’t provide these accommodations. What can I do? 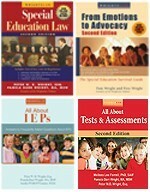 If regular education teachers are not implementing the accommodations in your child’s IEP, you need to document this. A good strategy is to write short polite letters to people in authority. Begin by writing a polite letter to the principal. Describe the problem and ask for his help. Your letter should be factual, not emotional. Do not blame or portray your child as a victim. As you know, my son Rob has severe language based learning disabilities and fine motor problems. He is unable to produce legible written work. 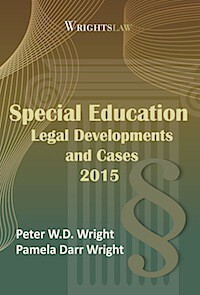 As a result of these disabilities, his IEP states that he will receive accommodations, including X and Y and Z. Some of Rob’s regular education teachers are not providing the accommodations in his IEP. I have talked to them but nothing changed. I need help. I’d like to schedule an appointment to talk with you. My work phone number is 888-123-4567. My home number is 888-765-4321 after 6 p.m.
Move up the bureaucratic ladder to the next person in authority. Write a letter that describes the problem and your attempts to resolve it. Attach copies of the other letters you wrote to school personnel. Two weeks ago, I wrote a letter to Mr. Principal. I advised him that my son’s regular education teachers are not providing the accommodations in his IEP. I asked for his help in getting the teachers to implement the accommodations. When I met with him, I had the sense that his hands are tied. I’m turning to you for help. Continue up the ladder to decision-makers with more power – the Superintendent and school board members. If the problem continues and you need to take action –- to request a due process hearing or a file a complaint with the Office of Civil Rights – your polite factual letters will be excellent evidence. You advised several school authorities about the problem in writing. You asked for help. No one stepped up to the plate. Under those circumstances, even Ms. Manners would take them to court. 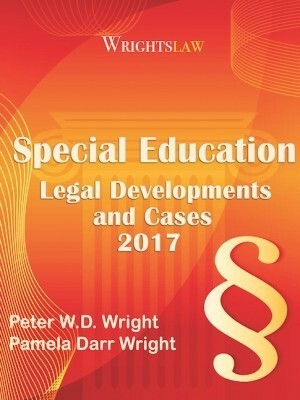 This entry was posted in Accommodations & Modifications, Advocacy, FAPE, FAQs, IEPs, Letters, Section 504, Special Education Regulations, Strategies and tagged Accommodations, Documentation, IEPs, Letters, Ms Mannners by Pete Wright. Bookmark the permalink. I am a para-educator. When I worked at schools in Canada, general classroom teachers modified student’s work. It was great for everyone. The expectations for my student(s) and I were made clear. I knew what the teacher expected of the student, and the student could work independently with my guidance as needed. Since this generally freed up my time, I could assist other students, circulate the classroom and ensure students were on task. I could assist the teacher by making photocopies, grading papers with his/her answer key, run tests through the scantron machine, or assist in the library with organizing books or laminating. When teachers don’t modify work, it falls on the para to attempt to adapt the work, most often do the work for the student, and the student relies heavily on the para. A few days before the recent teacher walkout in Oklahoma, my son’s IEP teacher passed away. While the walkout had its on bad effects on my child, the loss of his teacher was a mighty blow. I have a learning challenge and my teacher didn’t want me to have extra time on assignments. She wanted me to finish at that time and usually she would let me pass it in the next day. But I was not feeling like it because I’ve been having a bad day that day. She didn’t seem to care about that. What if she doesn’t follow my accommodations? Accommodations approved by the IEP team are to be followed. You can share your concerns with the principal or special ed office, now or in the future. It sounds like it is time for an IEP meeting immediately. Either the teachers are not following the plan or the plan may need to be revised. I would write a letter (paper trail) asking for a meeting immediately. Also ask for sons cumulative file so you can see all of the raw data, teacher notes and comments. If nothing else works you can file a complain with your local state education agency. Hope this helps and good luck to you and your son. Can an emancipated student take action against the school if the teachers refuse to acknowledge the IEP and he has written to all of the above? I am not to sure but I think you can. I would contact your local state and parenting training center. Good evening, I’m currently enrolled in a online class at the University and have submitted the proper documentation for accommodations. One accommodation states to allow for time and a half on quizzes and test. He currently allows us 10 min for 20 question on quizzes. He replied to my email saying he can’t allow me more time because it goes against online requirements. What can I do to receive my much needed accommodation. Contact Disability Resource Center through your online school and tell them you are encountering inaccessible online content for your course. That support office should be able to resolve this very quickly as long as you have the proper documentation. 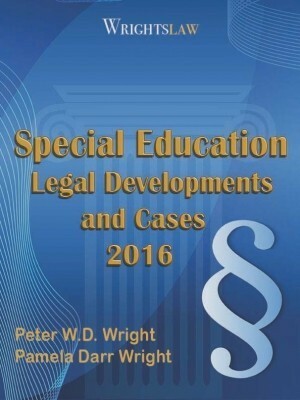 Know that many online school professors have not been trained or educated on disaiblity rights, accommodations, etc. It is a matter of simple education and information that should be given to the professor BEFORE he/she starts teaching Many college students become frustrated and discouraged by professors who will not accommodate. In many cases, the professors are not even aware of the process for obtaining accommodations and the support systems for students. I have a 15 year old. The schools and staff are so compliant when you have a meeting after meeting but when you walk out the door little to nothing happens. There is minimal follow through. I am frustrated to tears. I have been involved,met with teachers, worked with my child, had meeting after meeting. Follow through on the IEP as well as promises is minimal. I am so tired of this. How can they get away with this time and time again! Thank you for the web address! My child was denied summer camp due to him taking adderal a focus medicine which is for focusing. I was this was a disability and they didn’t have the staff to provide him with. The English Teacher refuses to follow the accommodations in my son’s IEP. I have been in contact with her, the administration and district personnel. It’s not coming together. He is in 9th grade, so I know how this is supposed to go but it is not. She is now intent on failing him because of my constant requests for implementing his IEP and keeping me informed of classwork and test dates, which is also an accommodation for him. I live in Florida and intend to file a state complaint. I noticed you referenced filing OCR complaints in your answers on this feed. What is the legal rational or basis for such action? I thought is was only the “different treatment standard” than the nondisabled kids. Thank you so much for your reply. Hi Melina, I live in Florida and I am also going through the same with my son. I would like to follow your thread because I feel hopeless and thought I was the only one going through this. I feel like I have a hit a steel wall where there is nothing else I can do. My son is autistic and can’t remain seated on the bus. His IEP called for him to be in a harness. IEP wasn’t followed and my son was bullied, punched in the face and had his iPhone stolen. The cell phone helped him remain calm knowing he could reach his mom at anytime. Son tries to confront the child who stole his phone and the police are called. Instead of addressing the matter of the theft, they sent my son to the police station… After the second confrontation, my son was sent to the police station again. School officials consistently lie and downplay the reality of the bullying(he instigated it) and theft(he lost it). The local city won’t take my son in school and he was being bused over an hour away to an inferior school. Would you send your child off to that situation? Sean, I’m really sorry that happened to your son. Makes me sick. I hope you got things taken care of. My 17 yr old son is in the 10th grade. He’s diagnosed with ASD, FAS, PDD, EFD, Anxiety disorders, and Dysgraphia. His IEP list several modifications. 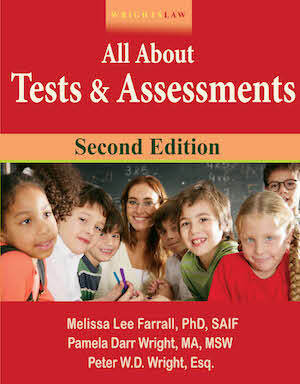 One in question is *Testing- Oral Testing (Read Aloud Test Items). Teachers/aides have always read the questions than he writes/marks his answers. Elementary and Jr High teachers allowed oral answers as well. Due to Dysgraphia…High School teachers and Special Ed advisor refuse to allow Oral Answering. Oral responses are a typical Dysgraphia modification. I have an IEP meeting in 2 days (2/15/17) if they won’t write in the additional need for Oral Answers…how do I require they still do that with the current IEP writing? my son has been making great progress academically and with self management in all classes but his yearbook class. We have had 3 technology incidents since the class began and had ARC meetings over all 3. The second meeting he was forewarned that if there was one more incident he would be restricted from all technology for the remainder of the year. I was under the impression this meant in his Yearbook class which is the only class the behavior has occurred in. What has happened is he has been restricted in every class and on any device in the building. He has the accommodation of “Access to technology” in his iep due to his poor writing skills which is illegible and does not represent his actual level of ability. What are his rights? What I would do is get in contact with the his Yearbook class teacher and find out what he did that got him restricted. Then I would contact the principal and set up a meeting to resolve this issue. Remind the school that your son has an IEP and still needs the accommodations for his other classes. Is “the teacher should provide a model example for math classwork” considered to be an IEP accommodation? Bryan, this seems general and not specific to the situation. During testing, in class, before direct instruction…it leaves you and me clueless. So I would want clarification. Maybe: during math tests student is provided math models to reference back to during testing in addition to classroom notes. Depending on many factors one would go from a concrete example- manipulatives, to a drawn model that the student fills in, to having the student draw the model…slowly taking the concrete away so the student can connect between the concrete and the abstract. Eventually having the student make sense of the abstract. Basically, the accommodation is poorly written and makes sense only to the person writing it…sorry. Do school counselors have to add all of the items on the 504 as requested by the doctor? My 6th grade son has Aspergers & ADHD. The doctor wrote that my son needed more time on all assignments, including classwork, homework and projects. The counselor said that he can’t have more time for homework b/c he has “all the time in the world” at home. Sure. School gets out at 4, he’s picked up for after care (Tae Kwon Do), gets home at 6-6:15, does home work between 7-8:30 (doctor says he needs to have all electronics turned off so he can trick his mind into sleep mode), he showers and gets ready for bed between 8:30-9:00, he does his Language Arts reading from 9:00-9:30. He tries to sleep by 9:30. If he has no meltdowns, he may be able to finish homework. When he does, 15 mins = 2 hours! The doctor makes the diagnosis and determines medical needs, but does not decide what the accommodations will be in the school setting. That is an educational decision made by the 504 team. Once the plan is complete and in place, teachers have a legal responsibility to provide according to the details of the plan. If they do not provide the accommodations as written, you have the parental right to file a complaint with the Office of Civil Rights, which oversees the rights of students with Section 504 plans. The counselor makes no decisions in this situation- the teachers should follow the plan or face possible OCR involvement for discrimination. I have my son in 6th grade, he was suspended this Friday for 3 days starting this Monday, because he hit another student who tried to get him out of his seat by pushing him. My son is autistic, has adhd, and sensory disorder. I pull him out of 5th grade, we home school because his elementary school was not providing him with some of his accommodations on his IEP, he is in the same school district, same diagnostician. Now we are going to have a MDR with in ten days to see if his reaction of hitting is part of his disability or not. If not they are recommending alternative school. Even when he has sitting privileges. He had a substitute teachers on that day and was moved twice to different classrooms in the same period; earlier in the day he got slammed on the hall way wall and no one did anything. HELP! Edith – I feel for you. Middle school is the worst. Is new school providing accommodations now? With your son being aggressive, it seems like he was provoked. Did school do anything? Did first boy who pushed him off his seat get in trouble? We have a no-contact contract in our district. Maybe your school does too? My son was bullied in PE (and then slapped by several kids) and I threatened to sue. The other kids’ parents had to be called and it was an ordeal. Your son being slammed is intolerable. Even though your son has aggression, it could be because he’s being bullied by others and he’s acting out? I hope you get help. I can only offer you advice that you force the school to accommodate him and that they not let him be bullied, hit, etc by other kids. Good luck! Hello: I need help. I’m an educational assistant at a large high school. I’m learning one of the teachers is only going to honor the students IEPs if they ask for the accommodation. Is this legal? Some of the kids don’t even know what their accommodations are. Obviously these kids already have trouble. I thought the teacher was to support the child and implement these practices. I’m all for self advocacy but it’s a skill that needs to be taught first. Please advise. This teacher thinks I’m a pain because I’ve used my voice to advocate for the kids. Of course in a professional manner. So now the teacher complained about me to the vice principal. So the three of us have a meeting next Tuesday to discuss roles and expectations in class. Please advise. I live in Washington. Teachers have a legal obligation to provide the services and accommodations in IEPs. Complying with the law is not optional. Many years ago, a WV history teacher efused to provide an accommodation on end of school testing. Other school staff warned him that he needed to comply but he refused. The boy failed the test. The family sued this teacher for damages. Students must be provided accommodations per their IEP. 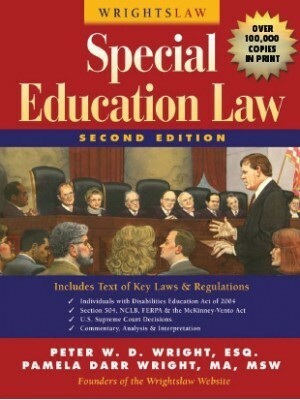 Although we teach self-advocacy, it is illegal to withhold IEP accommodations from a student for any reason- you cannot make them ask for accommodations that have been determined necessary by a team or ARC committee to service their disability needs. 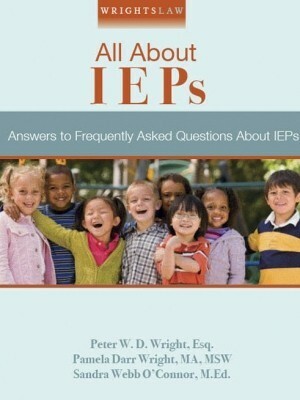 Parents, I am a child with an IEP, 15 years old now, seven when I got it. I was diagnosed with Autism, IED, ADHD, and fine motor issues. I cannot write, nor can I truly socialize. I understand anything put in front of me, but I can’t write. They don’t like for us people to have IEPs, because that costs the school district money hiring people who are registered to work with kids like me. I take all honors and AP classes, and they tried to take what little I need to pass these classes. They are currently having me do all kinds of tests to try and prove that I somehow “grew out” of my issues, but they are still there. You will have to fight all the way and keep fighting, and maybe even have to homeschool them for a short while, like my mother did. They have to help, but they don’t. Except you just wrote this entire post. He typed it. You can use your fingers to push letters but fine motor skills are harder to work with. I have a son with the exact same thing but the teachers can determine what he wrote. Dysgraphia is a diagnosis given to children / adults who are unable to write (by hand) in any coherent or legible manner. My son has received this diagnosis and does well with Assistive Technology devices. he can easily pull together a report or write complete assignments with the help of a computer and word recognition software. Mitchell, fight for what you need. You’re a smart kid and you’ll be a great success. He can’t write becuase his hands don’t work like “Normal” People. I have similar fine motor issues. I would go in this order. Teacher. Case Manager. Special Education Director. Superintendent. Board. 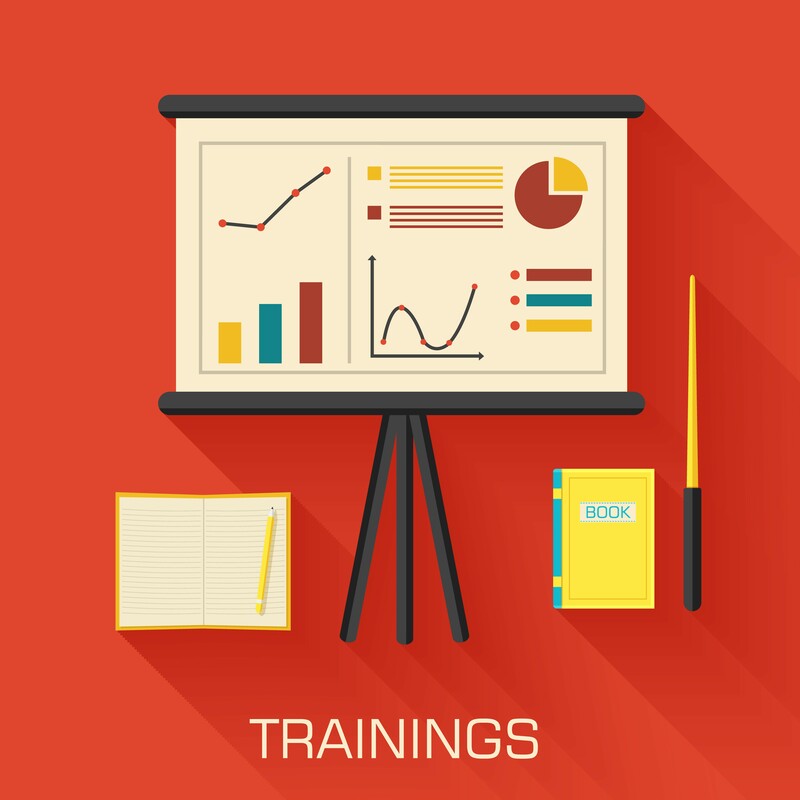 In most cases you will not need to go past the Case Manager to have the issue addressed. Document everything. Make sure you have different means of contact for each level you much reach. 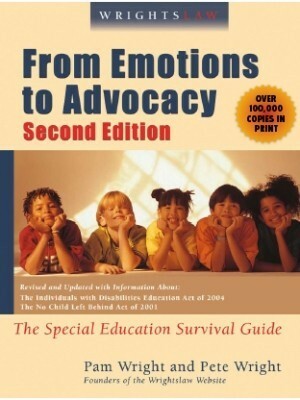 Unfortunately, the special education teacher will NOT tell you whether or not the accommodations are being followed…they will suggest you go to the teacher (who won’t tell you the ‘truth’) or go above them, and then typically they go right to the teacher. 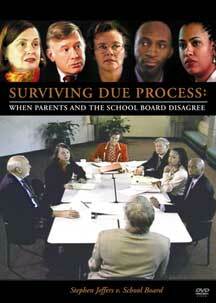 I would go to administration right away, if nothing changes…DUE PROCESS! This is so true. I found out at the end of the year that the classroom teacher never received the 504 plan. I went to the principal several times expressing concern that I felt the plan was not being followed and was assured that it was. The only way the truth was revealed was when the accommodations had to be sent to the state and the District could not find the 504 and wanted my copy. Can a principal direct the teachers to implement the Regular Education Curriculum then if the student wants them, then make accommodations and modifications per the IEP? Generally good practice as a teacher would to make sure you are aware of the student needs, but constantly assess whether they are appropriate. I strive for my students to be their own advocates because, in most cases, their disability will be something that will be with them for a lifetime. The more educated they are, the better. Teachers can offer the accommodation and modification. If a student does not use it, a teacher should document that, then see if the student needed it to be successful. Sometimes we have a tendency to add services, but hesitate to decrease services. A child is ever growing and changing. Therefore, their program needs to change with them so they remained challenged. There is no one making sure accommodations are being met even though I asked for a deaf educator or interant teacher and was told the case manager does that. I have been lied to at the iep meeting and over the phone and have documentation to prove it. I have removed my daughter from school provided speech because she has regressed over the last 2 yrs and she now gets speech elsewhere. The superintendent has every excuse as why they didn’t lie to me even with proof. there have been changes to the iep and they said I have verbal consent and I did not. I’m basically being told if I communicate with the teachers and things get done it’s ok if the sped department does nothing. I don’t mind doing it if I have to but isn’t that the schools job?? 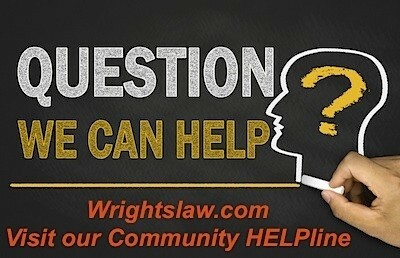 Can teachers be sued for personal property if a 504 or IEP is not followed or is it the school district? Yes, please review past court cases which held teacher’s accountable for following IEP accommodations. The first step should NOT be a a letter to the principal FOR THE FIRST OCCURRENCE or BEFORE YOU SPEAK TO THE TEACHER. It could make the parent appear to be adversarial. I think the first step should be a polite note to the teacher( or individual who did not provide the accommodation). When working with the professionals who service your children, you always want to do things that reinforce the idea that everyone is part of the same team. That means giving the individual an opportunity to correct the mistake or oversight first. If it continues, then it would be appropriate to speak to or write a note to the principal. I wish i would have read this earlier. I have a 15 yr old son with a learning disability. His iep is not being followed. I have made a few phone calls and asked for a study guide. he is given one a test with no answers on it . I decided to contact the teacher to meet with him and go over his study guide material he needs and hell broke loose. I need someone to share this with. sitting in a meeting and I have 6 adults lying to me. Hi my 7yrs son goes to a Talented & Gifted program. He has an IEP that is not being complied with. My son’s grade has not made significant improvements to their standards. The school has asked us to leave because they do not have the funds to provide him with any services. I live in a district where poverty, unemployed and high crime residents who dominate most of the housing. Please help me. I’m pretty sure that schools are not allowed to tell you they don’t have the funds to provide you with accommodations that are in the IEP. Depending o. Whether your child has a recognized disability, they could be violating the ADA but I’d definitely find a lawyer for legal advice. My son is 14 with dyslexia, dysgraphia, depression disorder & ADHD. He’s had an IEP only for the last 2 yrs. We have moved to TN and our IEP & test results were transferred (3 indep. sources all tested with same diagnoses). Our problem is his comprehension remains low, but, with intensive work his reading level is now at grade level. Last year his tests were read to him. This year, the school decided to change its state exam for next year which they say will no longer allow any reading of the test. Thus, to get the kids “ready” the school is no longer allowing this either. Our son failed his first science test that was not read (he’s usually an A/B student). Luckily, the teacher immediately re-gave the test with it read to him & he got a 97%! Regardless, the school still removed this from his IEP as they say it’s statewide. Is this legal? I work with teachers that refuse to give extended time if the student does not ‘efficiently’ use in-class time to work on an assignment. They feel that if they are socializing or refusing to do the work in class they should not be allowed extended time even though its on their IEP.